Wyatt Book Inc., 9780982502709, 272pp. 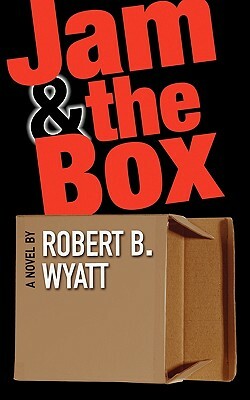 Veteran book editor Robert B. Wyatt in his first novel delivers a story about books, computers, cats, and friendships in upstate New York. Jamison Jam James, a bookstore owner discovers a carton containing a MacBook left behind after the death of his wife, Bay. At first reluctant to deal with the computer, he ceremoniously opens the box at the insistence of the Macs, a circle of his wife's friends devoted to Macintosh technologies. The opening of the box heralds a new life for the grieving bookseller as the motley Macs-a radio announcer, a musician, a writer, two students, and a businessman-share their knowledge of Jam's late wife, a charismatic village do-gooder who has concealed her past. Jam's increasing curiosity is piqued when Rosa, a glamorous stranger, comes to town in hopes of writing an article about Bay. Jam's life is beset by complications provoked by the Macs, Rosa, and other friends from Bay's past, as well as a couple of over-sensitive cats, who harbor additional secrets. As old memories merge with discoveries, Jam's quiet attraction to the young woman provides an unexpected understanding of his wife's amazing hidden life, bringing him back around to happiness. Website: www.wyattbook.com.